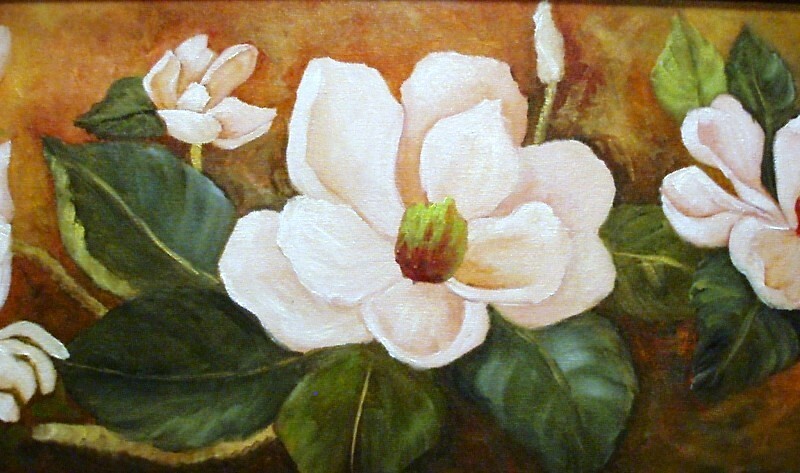 Hydrangeas LAL is done in oils on a stretched canvas. I had the pleasure of doing this painting for the LAL in Livingston. They were very welcoming and I joined the league. Sam and I are meeting some very lovely people since we moved. We miss our old friends but have visited and still love them too. We love to meet people. 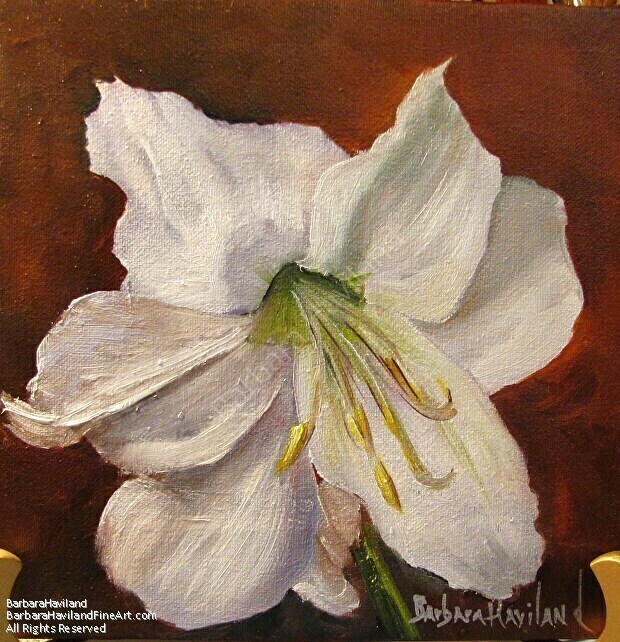 This painting was done in oils from one of my white amaryllis flowers. I love how they look. The painting is signed and framed.